The New York State Senate passed the Gender Expression Non-Discrimination Act (GENDA) this past week, a hard-won victory for campaigners. The legislation, also known as S.1047, will prohibit discrimination based on gender identity and gender expression in the areas of employment, housing and public accommodations. The legislation also adds gender identity and gender expression to the state’s hate crimes law. This brings to an end a nearly 17-year battle to add trans protections following the enumeration of sexual orientation in 2002 and has only been possible thanks to Democratic lawmakers taking control of New York’s senate in the 2018 midterms. Until now, GENDA has passed the State assembly 10 times consecutively but has always been derailed in the Republican-controlled Senate. The Democratic majority has changed that and seems keen to make sure everyone knows that, once again, progressive politics is rolling in New York state. Legal groups and LGBT groups have been quick to praise New York’s lawmakers for this and another piece of legislation—a ban on so-called gay conversion therapy. These protections are vital, particularly for helping young people. 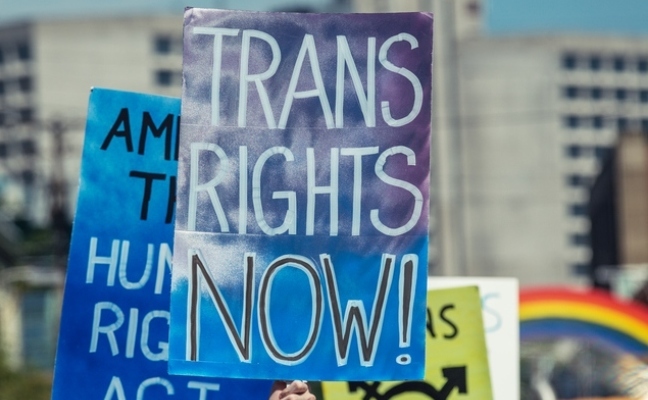 The lack of protection for trans people in New York State has been a source of great disappointment and protest, because so many much less progressive states have managed to enshrine trans protections even in the face of wider national hostility toward trans rights. However, the speed with which the Senate was able to move this legislation from committee to the floor and then a final vote gives progressives hope that New York is now once again ready to help its LGBTQIA citizens and support their needs. What was particularly promising about the vote is that it was backed by all 39 members of the Democratic majority in the Senate, creating a unified stance that sets up a strong progressive agenda. The next step for this legislation is for the Governor’s signature. Governor Andrew Cuomo maintained policies prohibiting discrimination and harassment on the basis of gender identity and has called GENDA’s provisions a matter of “basic fairness”. He has specifically praised the passage of the bill and is expected to sign within a matter of weeks. This legislation will strengthen what is already policy in New York and make those protections more encompassing. For trans people in the state, this is a great start to the New Year. KUDOS! Time to stop allowing religious bigotry to dictate laws and actions! Great job New York! Thank you.